Ferns are Plant of The Month for August 2016 – Glacier View Landscape and Design, Inc. Ferns thrive in the deep shade of many moist northern US forestlands, but did you know that they can thrive in the right environment here in Colorado? If you have a spot of shade that happens to be a drainage area for water on your property, chances are you can have a lush shade garden filled with various species of colorful ferns and other shade and water loving plants. There are over 250 species of fern, and surely more to be discovered in some deep dark forest somewhere! Here in Colorado, two common types are Dryopterus or Male Fern and Athyrium or Lady Fern. Both can tolerate more sun and less water than one would think, but they also can thrive in deep shade. There is even a ‘variegated’ variety called Japanese Painted Fern which really stands out in a garden. 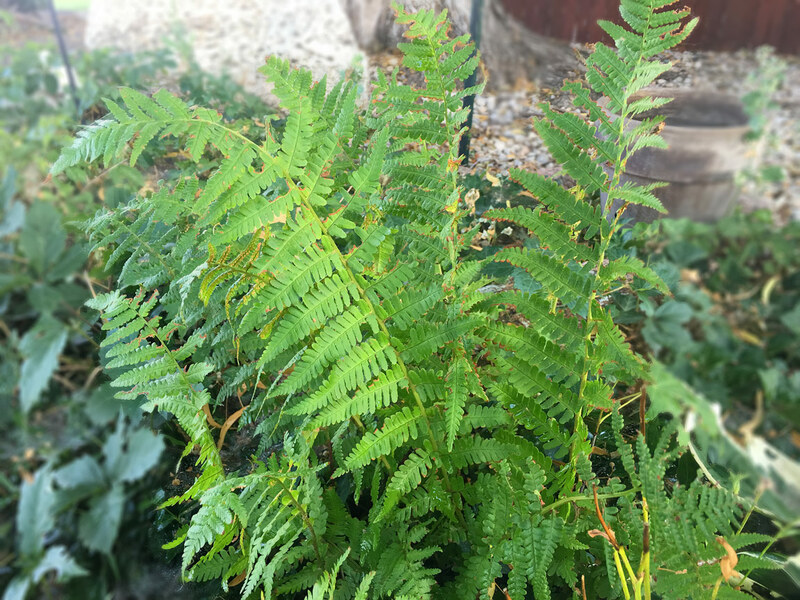 Ferns require a rich, moist, sandy loam to loam soil type and will not do well in the clay soils of our Boulder Colorado landscapes, but with good soil amendments, they will thrive. Being water conscious in the west, it is best to find a location already wet from drainage on your land and create a shade garden there to accent the landscape. Planted as mass plantings in a bed without weed barrier, ferns will spread over time to fill in an area. Intersperse other shade perennials such as Variegated Hosta or Chocolate Ruffles Coral Bells for some brilliant contrasts. Perhaps set under a multiple canopy of Japanese Maple with a tall shade tree above, include Columbine and moss rock boulders for that true Colorado mountain landscape feeling. Remember to amend the soil with plenty of compost. Adding peat moss to the mix will help acidify the soil and provide a nutrient-rich environment similar to their natural habitat. Oftentimes, to save on the budget, ferns can be found at your local nursery in flats of 4” pots. With care and feeding, they will thrive and spread over time. Find a spot in your garden and plant a flat or two for that truly secluded nook. Add a bench to enjoy your space. For more information about how to incorporate ferns into your outdoor space, contact Dave White.